Successfully Added Fingerprint Door Lock - Triple Security Bronson Edition (R) to your Shopping Cart. 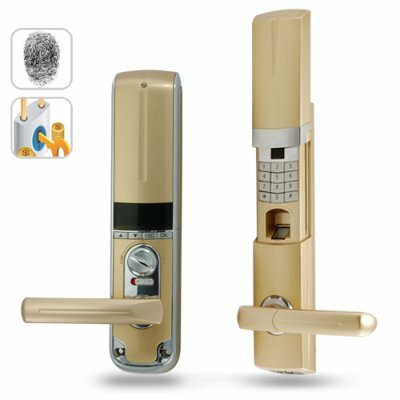 For total security, convenience and dependability for a lifetime, the J29 Triple Security Bronson Edition Fingerprint Door Lock is a small price to pay. This (R) version is meant to be used with right-hinged doors. Built from only the highest grade materials and made for only the highest level of safety, this is the ultimate in security for the 21st century. Available at a low factory-direct wholesale price, this unit is actually cheaper than many "premium handle w/keys for front door" units you can find at door specialty shops, yet is twice as good! Don't wait for a break-in to happen, prevent it now with the J29 Triple Security Bronson Edition Fingerprint Door Lock from chinavasion.com.